Louise Gluck was born in New York City in 1943 and grew up on Long Island. 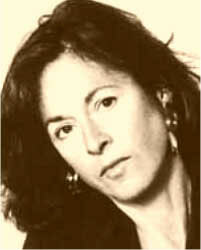 She is the author of numerous books of poetry, including The Seven Ages (Ecco Press, 2001); Vita Nova (1999), winner of Boston Book Review's Bingham Poetry Prize; Meadowlands (1996); The Wild Iris (1992), which received the Pulitzer Prize and the Poetry Society of America's William Carlos Williams Award; Ararat (1990), for which she received the Rebekah Johnson Bobbitt National Prize for Poetry; and The Triumph of Achilles (1985), which received the National Book Critics Circle Award, the Boston Globe Literary Press Award, and the Poetry Society of America's Melville Kane Award. She has also published a collection of essays, Proofs and Theories: Essays on Poetry (1994), which won the PEN/Martha Albrand Award for Nonfiction. Her other honors include the Bollingen Prize in Poetry, the Lannan Literary Award for Poetry, and fellowships from the Guggenheim and Rockefeller foundations, and from the National Endowment for the Arts. Louise Gluck teaches at Williams College and lives in Cambridge, Massachusetts. In 1999 she was elected a Chancellor of The Academy of American Poets.